We help homeowners heal and transform their gardens. Our services empower you to make wise decisions that prioritize local resilience, ecological harmony and joyful living. We wanted to tell a deeper story about the California Drought. Saturate began as a weekly email dispatch. A few years into the drought, we felt overwhelmed with storytelling that sought to cause alarm and cast blame, while offering little hint of real solutions. We wanted to slow down and look at the big picture. So we published Drought 101, a six-week newsletter that serves to understand our local climate, how it’s changing, and how our systems are holding us back. We discovered that gardens were needlessly suffering. Buzz about our project brought us into contact with landscape architects, water use experts, real estate agents and residents who opened our eyes to homeowner needs. Intrigued and concerned, we launched an investigation. The more time we spent in Southern California landscapes, the more we began to discover that most gardens (even in seven-figure homes!) were unhealthy, addicted to overwatering, destructively maintained, and doomed to fail under the added pressures of Climate Change. While solutions for creating a healthier landscape were wildly available, they required a certain sensitivity, expertise and ongoing attention to implement correctly. The landscaping industry failed to provide, so for most people confusion and costly mistakes were the norm. For example, we kept meeting homeowners who had just bought thousands of dollars of “drought-tolerant” plants, only to have 75% of them die in months because they were in the wrong location, or had been poorly pruned, or the soil was incompatible, or the systems were broken. On top of plants dying left and right, we were tired of seeing careless leaks, sprinklers watering in a storm and the soil becoming depleted while our precious rainfall drains straight into the ocean. We set out to revive California's residential land. 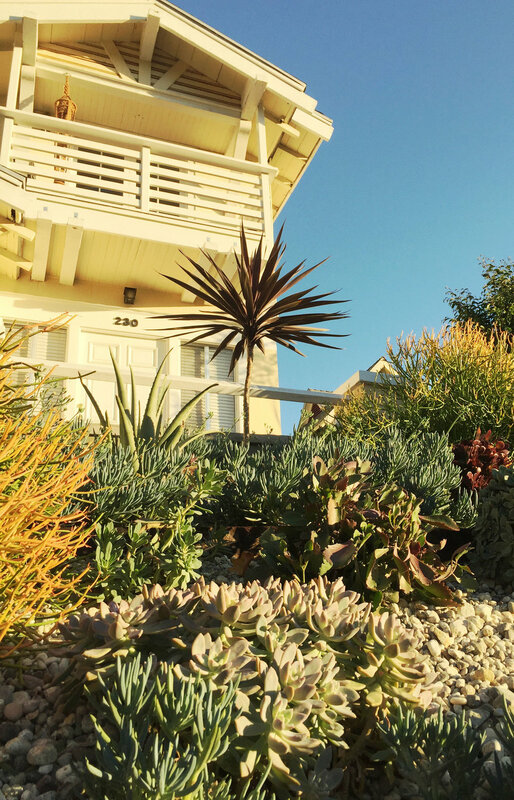 We were hearing from hundreds of California homeowners who were generally dissatisfied with their gardens, but didn’t know where to begin making changes or who they could trust for help. So we partnered with an expert ecologist and experienced gardener, and began working with real clients and their groundskeepers, helping them implement the right solutions and training them in conscious practices. 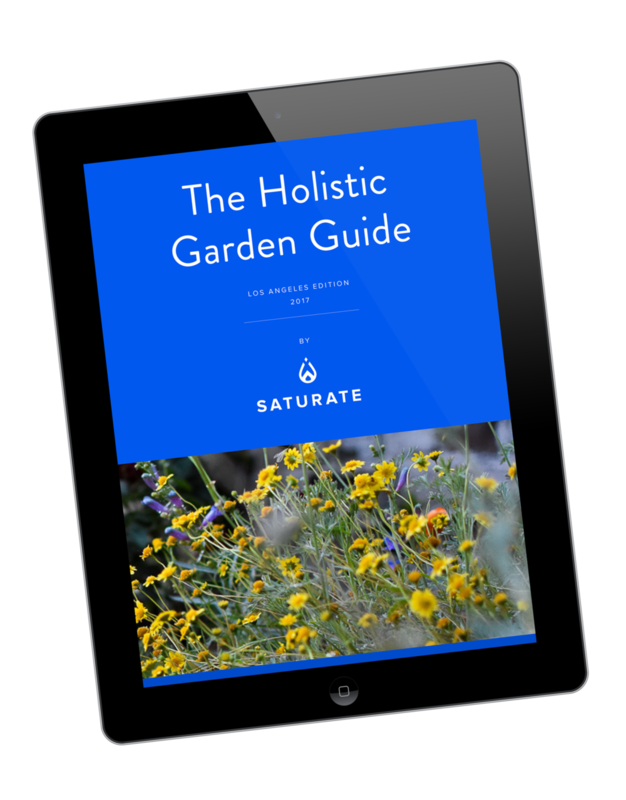 Over the course of working with dozens of homeowners across a variety of SoCal microclimates, we designed Saturate to target their top needs when it comes to transitioning their gardens and empowering them to thrive. Even though we've enjoyed an abundantly wet year, for many the drought was a wake-up call. Our water future in the west remains uncertain and regardless of the weather, we believe gardening practices should create natural resources, not destroy them. Our community is committed to doing what's good for the planet, first and foremost in our own backyards. Together we are raising the bar for landcare in Southern California and beyond, leading the way toward a verdant and resilient future.